The realist sees only the front of a building, the outlines, a street, a tree. Marie Menken sees in them the motion of time and eye. She sees the motions of heart in a tree. … A rain that she sees, a tender rain, becomes the memory of all rains she ever saw; a garden that she sees becomes a memory of all gardens, all color, all perfume, all mid-summer and sun. 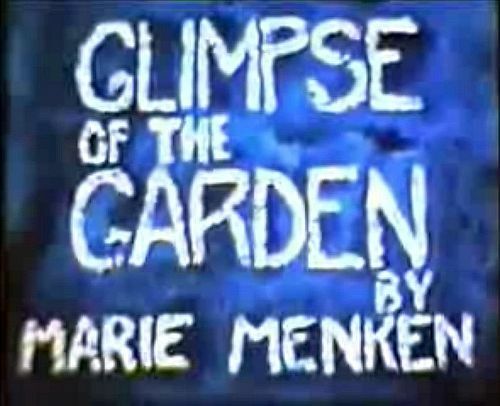 What Mr. Mekas doesn’t mention is that the title subject in one of Ms. Menken’s earliest films, „Glimpse of the Garden“,belonged to one of her husband’s former male lovers. (This intimate connection might explain why the film is not titled „Glimpse of a Garden.“) There is something terribly moving about this biographical detail, which goes unmentioned in the documentary as well, because it suggests a generosity of soul — or, perhaps, more rightly, an insistence on life and self-affirmation — already evident in Ms. Menken’s images. Behind these delicate yet resilient, unmistakably feminized flowers, we intuit someone who could find beauty in the world, no matter how badly that world might have treated her. And not just find beauty, but also return it to the world, though on her own emphatic terms. 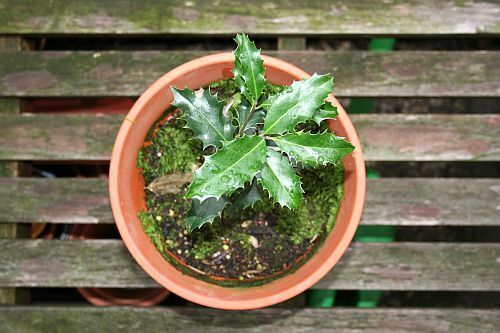 … the surrealist poet Charles Henry Ford …took me to a party that Marie Menken and her husband Willard Maas, underground filmmakers and poets, gave at their place in Brooklyn Heights at the foot of Montague Street. Later on I put her in a lot of my movies like Chelsea Girls and The Life of Juanita Castro.